When physicians refer patients for diagnostic ultrasound, they want to feel confident that their patient will receive high-quality care including accurate exam results and clear, concise reporting. The field-proven Imorgon Ultrasound Enhancement System™ provides these assurances. 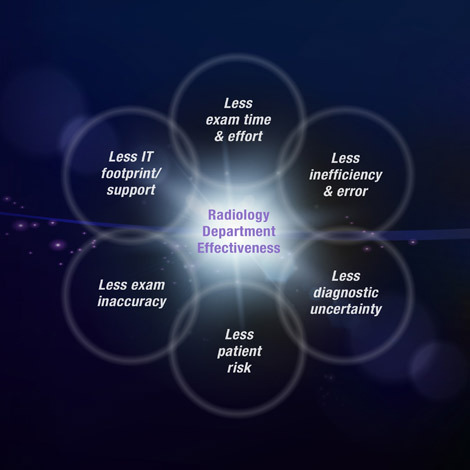 Its technological advantages and ability to optimize ultrasound performance with radiology PACS ensures that patients receive an accurate, efficient and thorough ultrasound diagnosis. This means they are more likely to be in and out of the radiology department or center quickly—and to be satisfied with the experience. The Imorgon System’s integrated electronic reporting also decreases errors associated with handwritten paper forms and report-dictation systems. Your patients’ resulting reports are complete, precise and easy to interpret. Automatic population of measurements and text into patient drawings increases the value of these drawings as a summary report of patient conditions.